how i get facebook messenger like 215 onto it? S30 any ideas. lucky13392, 02 Mar 2015Does it also have the call recording option? 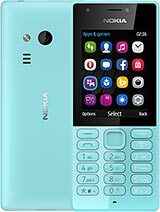 If not, can anyone please tell me a feature phon... moreBuy Nokia 206. Anonymous, 06 Mar 2015How can i set my phone contact to display both Name and the Number................. please help! Which types of apps will support at this phone...??? it is a bad phone, coz nokia inforce people to give rate to it as a feedback, when this msg is recievd it can`t be read, neither u can delet it, and neither u can use ur shortcuts. it is a bad concept,and it is not convenience its fucntion is too complex. AnonD-371522, 05 Mar 2015Hello, please help me to set my AGENDA to show both, names and number because i can t find any... moreHow can i set my phone contact to display both Name and the Number................. please help! jagpreet, 26 Jan 2015How to record voice in nokia 225Internet's download games cann't play in this phone it is a bad phone.